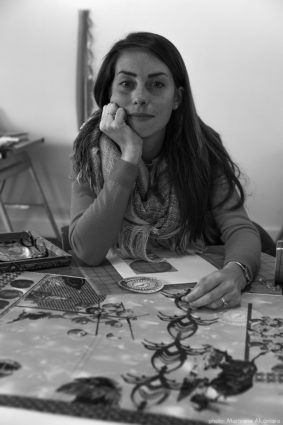 Laura Tanner Graham, assistant professor of art in the School of Art at the University of Arizona, will display her work Tuesday, Jan. 22, through Friday, Feb. 22 in Thompson Gallery of the Roe Art Building on the campus of Furman University. Regular Thompson Gallery hours are Monday-Friday, 9 a.m.-5 p.m. A reception including a talk with the artist is set for Monday, Feb. 4, 6-7:30 p.m. in the Roe Art Building. The reception and exhibition, “Everything That Rises,” are free and open to the public and are presented by the Furman University Department of Art. Learn more about Laura Tanner Graham. Or for more information, contact the Furman University Department of Art at 864-294-2995. Tanner Graham is assistant professor of art at University of Arizona.